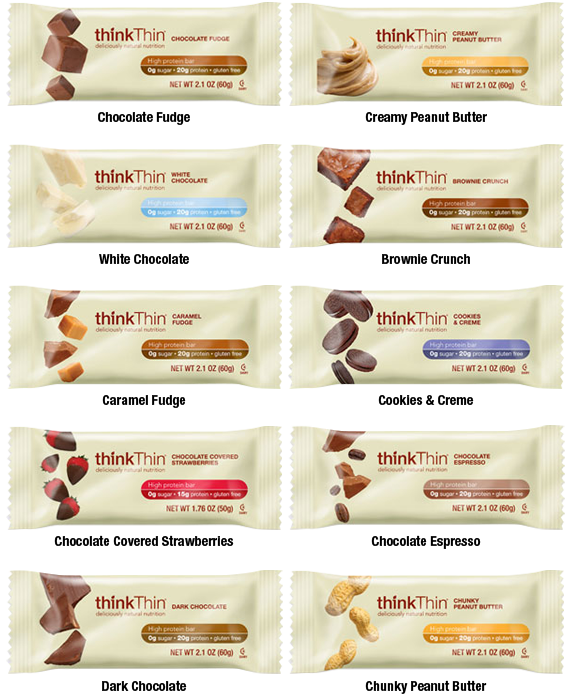 Think Thin bars are an easy, portable, simple and satisfying high protein snack for an active on-the-go lifestyle that are available in 10 incredible flavors. INGREDIENTS: Protein Blend (Whey Protein Isolate, Calcium Caseinate, Soy Protein Isolate, Casein), Coating (Maltitol, Cocoa Butter, Chocolate, Sodium Caseinate, Milk Fat, Soy Lecithin, Natural Flavors, Salt), Glycerin, Maltitol, Peanuts, Water, Cocoa Butter, Peanut Flour, Natural Flavors, Soy Lecithin, Sea Salt. Manufactured in a plant that also processes eggs and tree nuts. Nutrition facts based on Creamy Peanut Butter flavor. Facts and ingredients vary by flavor. 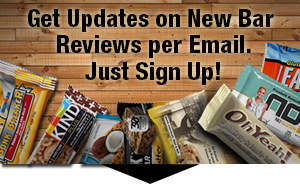 There are a ton of reviews of these bars online and the consensus is very wide spread, especially with so many different flavors involved. The range goes from very bland taste to best bar I’ve ever eaten, so it’ll be up to you to make the call for yourself. 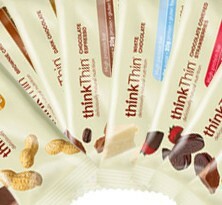 We recommend to be very selective of the flavor, if you want to give Think Thin a shot. Due to the range of flavors the texture can be crunchy or rather gummy. A lot of buyers reported the texture as being dry. 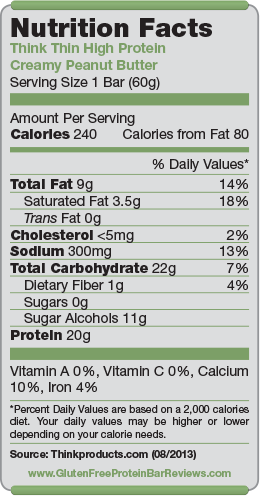 Bars have 0 grams of sugar, but sweeten with Maltitol, which are Sugar Alcohols. Sodium is higher than average and carbs are on the lower end of the spectrum. For 20 grams of protein this bar is very affordable with $2.29 per bar at retail. Price per gram of protein is extremely good compared to other bars in this category.